This stroll explores the history of Newlyn which is one of Cornwall's most important fishing harbours. 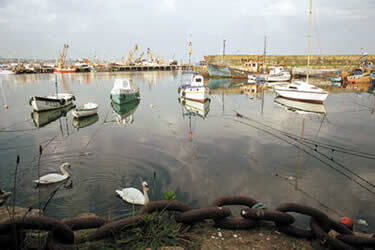 In addition Newlyn has been the home of artists and still remains an attractive Cornish village. With a long and varied coastline Cornwall offers walkers many wonderful walks using sections of the South West Coast Path National Trail. In places the coastal scenery is very rugged and the walking often quite strenuous. Inland the moors of West Penwith and Bodmin offer a dramatic change of scenery to that encountered on the coast. Further interest is added by pretty villages and harbours, industrial archaeology, mostly focused on the former tin mines, and some outstanding archaeology sites especially in the moorland areas.